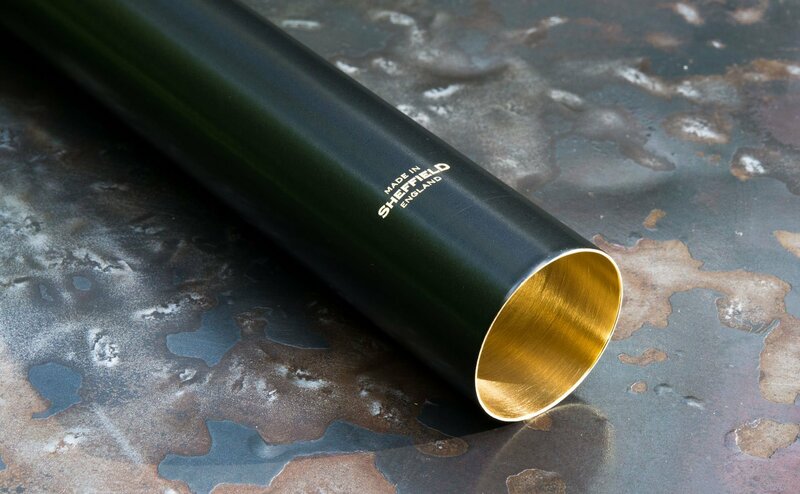 Howard Whistles are all handmade in Sheffield, England the home of fine craftsmanship for hundreds of years. They feature a unique two piece design developed by master craftsman and instrument maker Brian Howard over the last 40 years. Made from robust ABS resin, with a complex acoustic design, the Howard Low D tuneable heads now have an improved finish which makes for a more fluid playing experience and a more balanced refined tone. 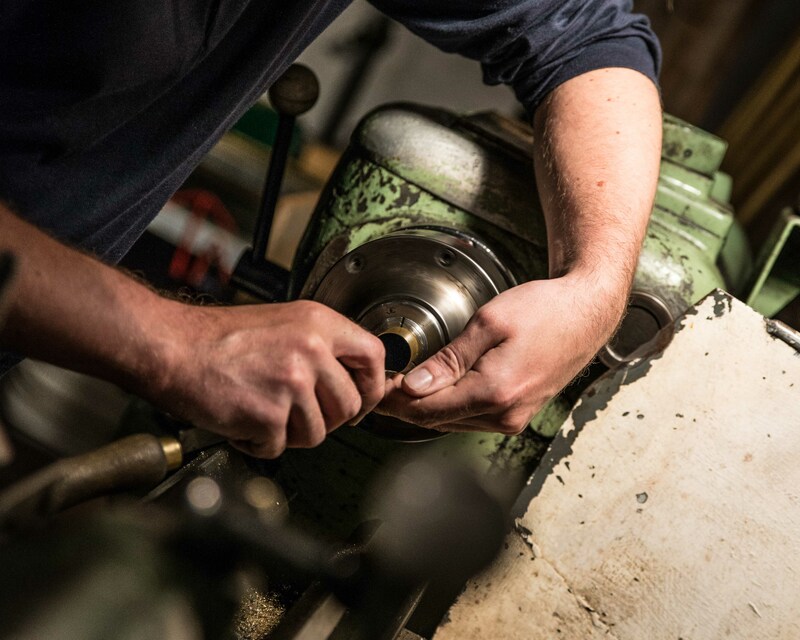 Each head is individually made, carefully hand finished and tested against a reference. A whistle body crafted from a specially drawn thin-walled tube of brass, the alloy of choice of fine instrument makers down the ages. The two piece design resolves tuning issues without the use of perturbations in the bore, therefore it is accurate and stable over both octaves when played softly or loud. Howard Low Whistles are tuneable with a clearly engraved reference line. 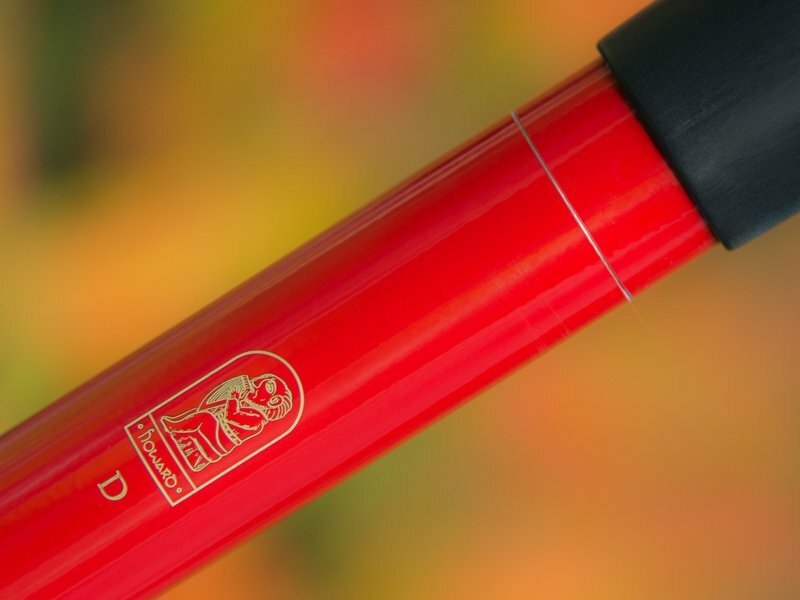 The two-piece design allows for a tuneable professional whistle at a very competitive price. A new engraved logo, based on a Medieval stone carving of a musician, and hand finish match the quality of the design engineering. The result is a tuneable, sonorous and playable whistle which allows for a range of dynamics across registers without losing timbral qualities or deviations in pitch. 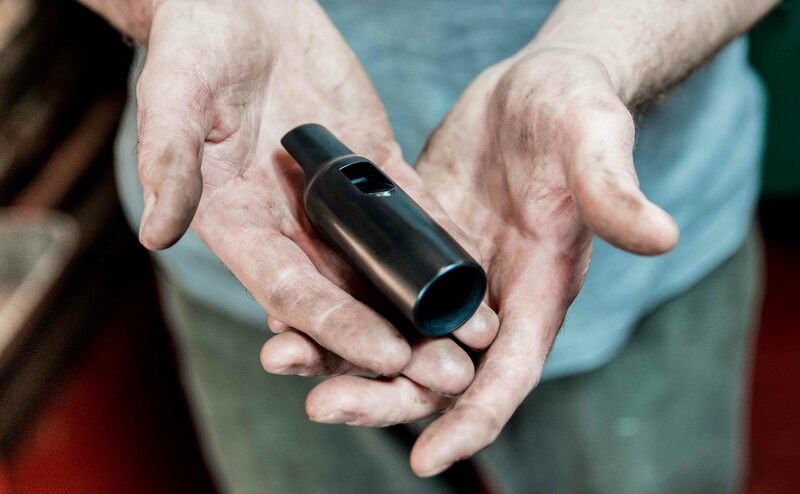 The maker, Brian Howard, has been making whistles for over thirty years (the present design being in production since 1985) – and if there’s one thing he’s famous for it’s never sitting still. The best way to keep up with the changes is simply to replace the head, which’ll cost you about a third of the price of a new whistle. The build quality is superb. You’ll find no rough edges here, nor any burred finger holes. The head itself isn’t much to look at, but it’s very much the ‘engine’ of the instrument – and a lot of what goes into making this part is a closely guarded secret… it’s what makes every whistlemaker’s instruments distinctive. The volume is the first thing that hits you. It’s easy enough to make a higher pitched whistle that can belt out a note, but as the pitch drops it becomes that much harder to maintain the volume. The Howard low whistle manages to maintain a good volume in the lower register without sacrificing the tone. Of course, the whistle’s true potential comes through when you back off the volume and allow it to find what I like to think of as its ‘resonance’. It’s a bit hard to describe exactly what this is, but it’s effectively that point where volume and tone (and tuning) balance each other out. This is when a whistle starts to sing. Even more remarkably, this ‘resonance’ is maintained in the second octave…without the need for any increase in volume. Better yet, although it’s quite easy to slip into the upper octave it’s entirely at your discretion – there isn’t that sense of instability that plagues some whistles. That’s quite an achievement on a low whistle, I reckon. Tuning? Well, I’ve said it before and I’ll say it again – saxophones don’t play in tune, you play them in tune – and the same goes for whistles. For sure, you need a head start in the shape of a decent bore and accurately sized and placed finger holes, and that’s exactly what you have. It really shows in the upper octave too. Tonewise it’s rather difficult to categorise this whistle. That, in effect, is the strength of this whistle. I could say that it’s warm, but it’s also bright. I could say that it’s broad, but it’s also focussed. Pick any description you like and it’s probably in there somewhere. This then is the whistle’s forté – it stands on its own. If you’re a beginner and want to start on a low whistle then you’ll absolutely love the Howard. It has an immediate response and a very ‘morish’ tone – it’s quite hard to put it down once you’ve picked it up. It will lean to your preferences to some degree – mine is for a more ‘baroque’ tone, and this whistle will match many an expensive recorder in that respect. If you’re a seasoned whistle player then you’ll already have your own ideas about what constitutes the tone you’re looking for, but there’s a better than even chance that the Howard will give you something that no other whistle will. From a stage performance point of view it’s worth noting that these whistles work well with amplification and recording as they tend to suffer rather less from sibilance and breath effects than many other low whistles.